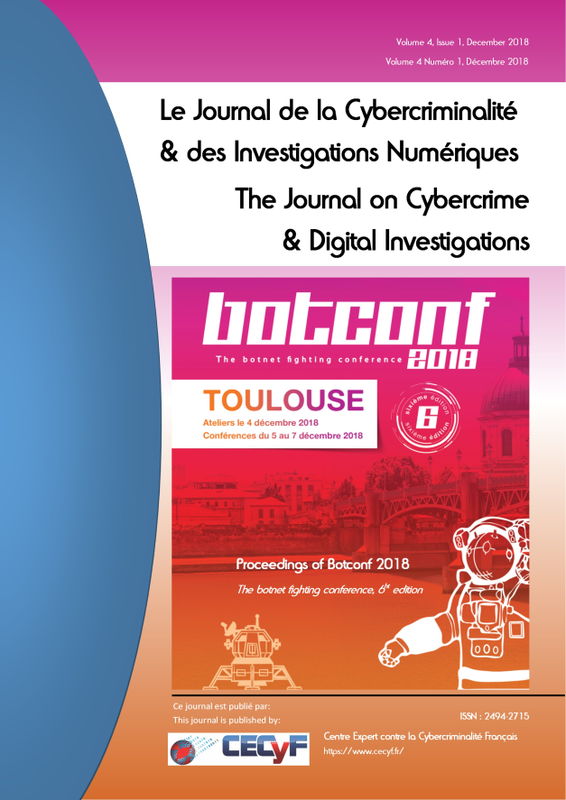 The fourth issue of the Journal on Cybercrime & Digital Investigations is dedicated to the publication of the papers and short papers prepared for Botconf 2018, the botnet fighting conference, whose sixth edition was held in Toulouse, France, 5 to 7th December 2018, with workshops on December 4th. 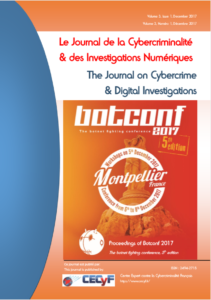 The third issue of the Journal on Cybercrime & Digital Investigations is dedicated to the publication of the papers and short papers prepared for Botconf 2017, the botnet fighting conference, whose fifth edition was held in Montpellier, France, 5 to 8th December 2017, with workshops on December 5th. 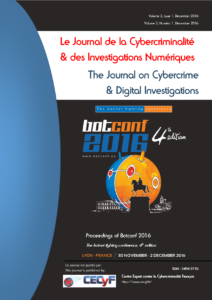 The second issue of the Journal on Cybercrime & Digital Investigations is dedicated to the publication of the papers and short papers prepared for Botconf 2016, the botnet fighting conference, whose fourth edition was held in Lyon France, 30th of November to 2 December 2016, with workshops on November 29th. 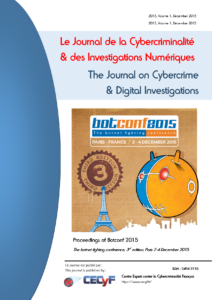 The first issue of the Journal on Cybercrime & Digital Investigations is dedicated to the publication of the papers and short papers prepared for Botconf 2015, the botnet fighting conference, whose third edition was held in Paris, 2 to 4 December 2015.